Wladimir Klitschko has passed up a rematch with Anthony Joshua and announced his retirement on Thursday. Klitschko, who turned 41 this past March, made his “decision” public through his website, which subsequently crashed due to the overwhelming traffic that flooded the page. He released a video about his plans to move on to “the next chapter” in his life, but gave few details about what those plans include. “At some point in our lives we need to, or just want to, switch our careers and get ourselves ready for the next chapter and chart a fresh course toward fresh challenges. Obviously, I’m not an exception to this. And now it’s my turn,” said Klitschko. 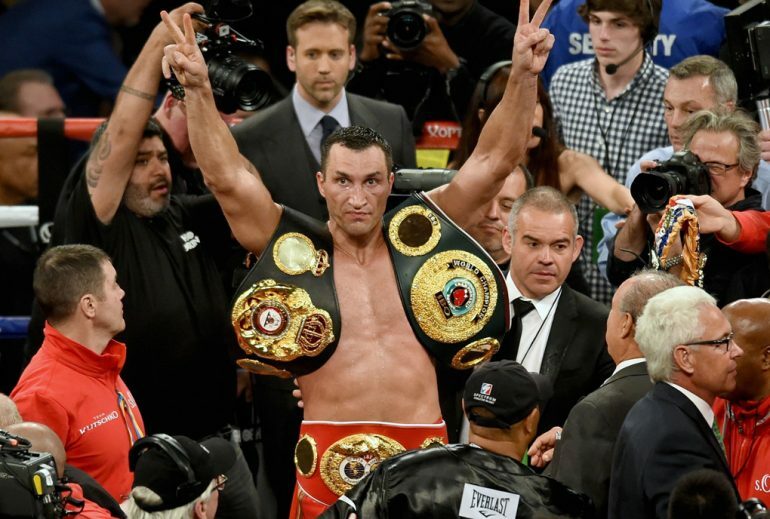 Klitschko (64-5, 53 knockouts) turned professional the same year he won the super heavyweight gold at the 1996 Olympics in Atlanta, and had two different runs with versions of the heavyweight title, carrying the WBO for 5 defenses in the early 2000s, and, in the period which will guarantee his induction into the International Boxing Hall of Fame, reigned atop the glamour division for 18 defenses of the IBF belt over nine years, beginning in 2006. He also annexed THE RING, WBA and WBO titles during that time. Only Joe Louis (25) and Larry Holmes (20) had more consecutive heavyweight title defenses, and the duration of his reign was second only to Louis. But there was a period when there was considerable doubt over whether Klitschko would fulfill the expectations set out for the 6-foot-6-inch giant from Kiev, Ukraine. He was stopped in two rounds by Corrie Sanders in THE RING’s 2003 Upset of the Year, and the following year Lamon Brewster got off the floor to halt him in five. He also had an earlier loss in his 25th fight, an 11th-round technical knockout to Ross Puritty. However, Klitschko was able to bounce back, switching trainers to the late Emanuel Steward in 2004 and adopting a safety-conscious style which made better use of his height and jab, while reducing his vulnerabilities. 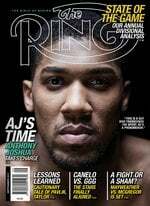 Klitschko was with Steward until the Kronk legend’s death in 2012, and worked with Steward’s protege’ Jonathan Banks for subsequent fights. His turnaround began with a victory over Samuel Peter in 2005 and a blazing seventh-round stoppage of Chris Byrd in 2006 to win the IBF title. Other highlights included a revenge win over Brewster, unifying with WBO titleholder Sultan Ibragimov in 2008, and silencing bitter rival David Haye in 2011 to add the WBA title. The only heavyweight force of his era Klitschko did not meet was Lennox Lewis, who had retired in 2004 while Klitschko was finding his in-ring identity. A matchup with older brother Vitali, himself a former two-time heavyweight champion, was also confined to fantasy. “Dr. Steelhammer” had lost his last two fights, being outpointed by Tyson Fury in November of 2015, and stopped by Anthony Joshua in the 11th-round of a thriller in April. Klitschko’s last bout, which saw him drop the unbeaten Joshua before 90,000 fans at Wembley Stadium in England, was a fitting way to end his career with a boom. A rematch had been discussed for later this year in Las Vegas before Klitschko announced his intention to retire instead. Eddie Hearn, Joshua’s promoter, reacted to the announcement on Twitter, wishing Klitschko the best in retirement. “I heard the news this morning from [Klitschko’s manager] Bernd Boente that Wladimir Klitschko has decided to retire from boxing. We wish him all the success,” tweeted Hearn.